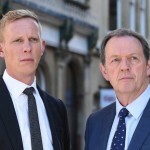 When Kevin Whately begins to solve his final case over the next two Tuesday nights on ITV, he’s got to feel a bit like Sir David Suchet and his quarter of a century on-screen relationship with Hercule Poirot. 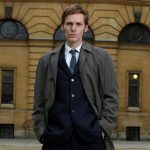 Whately stepped into the role of DS Robert “Robbie” Lewis in 1987, opposite the late John Thaw in the ITV drama Inspector Morse. 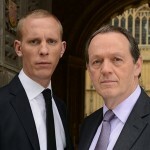 Lewis, the spin-off which premiered in 2006 co-starring Laurence Fox, saw the newly promoted Detective Inspector Lewis paired with a new assistant, DS James Hathaway, now reporting to a new boss, Chief Superintendent Jean Innocent, played by Rebecca Front . With a bit of a break in between Morse and Lewis, if you’re keeping score at home, that’s just shy of three decades that Whately has spent off and on playing the workaholic detective. 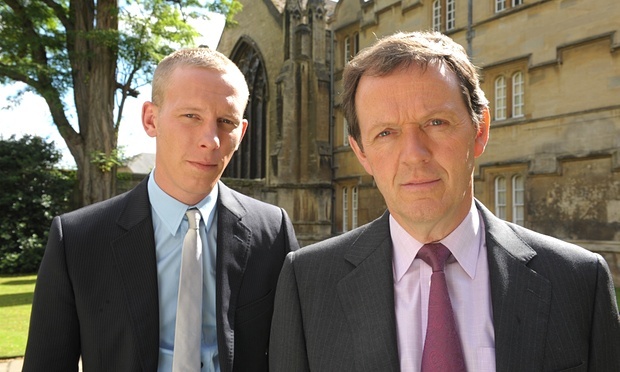 For the final 10th and final series of Lewis, Kevin Whately and Laurence Fox have, once again, reprised their roles as the ‘perfect’ detective team solving murders against the backdrop of the university spires of Oxford alongside Angela Griffin (Mount Pleasant, Waterloo Road, Coronation Street) as DS Lizzie Maddox. Over the course of the last several weeks as the series has played out in the UK, we’ve seen the arrival of new Chief Superintendent Joe Moody which was, hopefully, going to signal a new day for Oxfordshire Police. Unfortunately, once again, the new chief soon clashed with Lewis over his more ‘traditional’ approach to detective work. 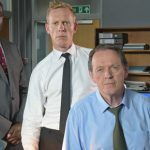 Inspector Lewis had to have felt a bit like Bill Murray in Groundhog Day given his previous relationship issues with the previous Chief Superintendent. 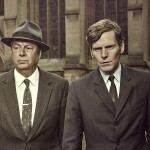 In addition, over the course of the final series, Hathaway was forced to confront his past when his father is moved into a care home suffering from dementia. Going through his father’s belongings he realizes that his dad, though absent from his son’s life, took an interest in him. This revelation causes Hathaway to feel tremendous guilt and in an attempt to avoid facing his father and his personal strife, Hathaway throws himself into his work. After years of avoiding the thorny issue of family ties, has James left it too late to be reunited with the man his father once was? 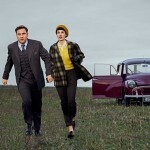 The final case for both, titled “What Lies Tangled”, which airs over the next two Tuesdays on ITV and then will be headed to this side of the Atlantic and air as part of PBS’ Masterpiece series this Summer, will see DI Lewis in a race against time to not only find a killer, but also to save his career and his relationship. The final episode also includes series regular Angela Griffin as DS Lizzie Maddox. It has, indeed, been a great ride and, fortunately, one that won’t end in America until Summer 2016 with the return of Lewis on PBS’ Masterpiece. Wonderful show. Well written and brilliantly acted. The chemistry of the character interaction sparkles and the settling is lovely. Why is there a woman doing talkover on the show it is very annoying?